When a letter arrives for unhappy but ordinary Harry Potter, a decade-old secret is revealed to him that apparently he's the last to know. His parents were wizards, killed by a Dark Lord's curse when Harry was just a baby, and which he somehow survived. 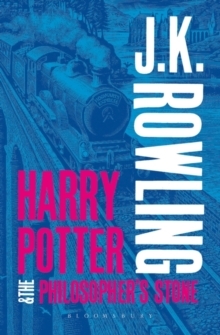 Leaving his unsympathetic aunt and uncle for Hogwarts, a wizarding school brimming with ghosts and enchantments, Harry stumbles upon a sinister adventure when he finds a three-headed dog guarding a room on the third floor. Then he hears of a missing stone with astonishing powers which could be valuable, dangerous, or both.